Smaller courts, lighter racquets and low-compression balls make learning tennis fun and easy for primary school-aged children. Offering some of the finest tennis court and clubhouse facilities and strongest senior and junior players of any tennis club on the coast… yet we’re best known as a warm, friendly place to play. Both junior and adult private lessons for all skill levels available through a specialised tennis coaching program run by TennisFit Australia. 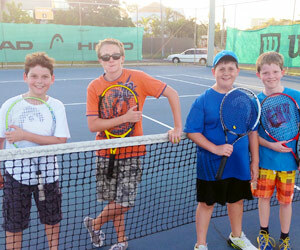 Maroochydore Tennis Club warmly welcomes new members into its friendly atmosphere. Whether the focus is enjoying an excellent standard of social tennis, or competitive tennis, the club has something for everyone, so please do contact us. 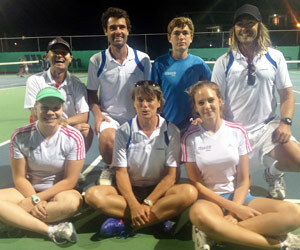 TENNISfit Australia’s specialised coaching is a careful balance of technical, tactical, mental and physical training. The professional coaching team is dedicated to the instruction, development and success of all students. 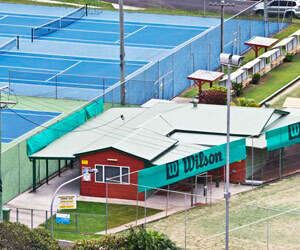 Maroochydore Tennis Club has adult teams with various levels of ability playing in Monday night fixtures, Wednesday Ladies fixtures and Friday Ladies fixtures competitions. Contact the pro shop for more info. Positioned just one block away from the very popular surfing beach at Cotton Tree, on Queenslands beautiful Sunshine Coast.